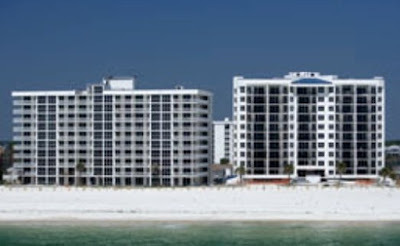 Perdido Key waterfront condo for sale w/approximately 700 s.f. at Seaspray Riverside. This amazing waterfront property has beautiful interior finishes and decor. The kitchen has been updated with granite counter-tops, stainless steel appliances, tile backsplash and modern cabinetry. The community amenities are 1st-class and include deeded beach access, 1st come first serve slips, a boat launch, two boat storage areas, 3 pools (one beachfront zero entry), hot-tub, fitness facility over looking the gulf, lighted tennis courts, outdoor gas grilling area, gulf-side covered parking, kayak storage and more! Don't wait, get ready to enjoy the best in coastal living at Seaspray and Perdido Key - come see this one ASAP!